There's something about fall that makes me sentimental. It makes me want to nest and bake and hold tight and take care of everybody. Spring is all clean up and clean out every closet you have kind of change. 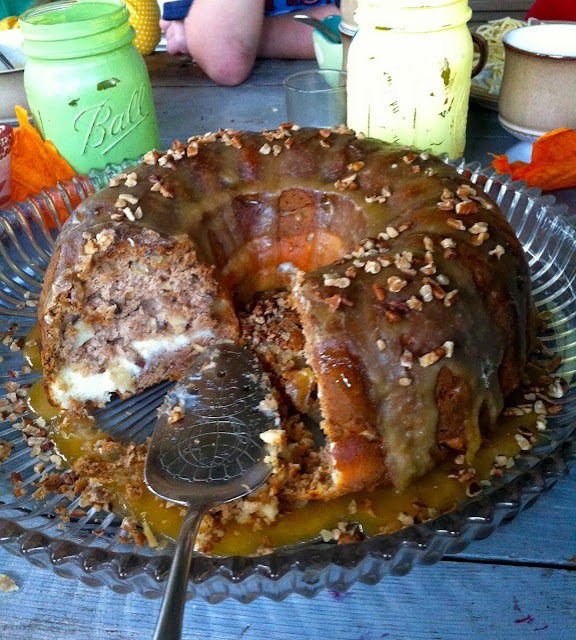 Fall is all take stock and be grateful for everything, gather around a fire and make a bundt cake kind of change. Every September I watch the same movie, One True Thing based on the amazing Anna Quindlen book. I read the book when I was in my early 20s and related with the up-and-coming young woman with mother issues trying to go for her dream. Now I relate with the kind-hearted, well-meaning, homemaker mother. In the movie, the mother is played to perfection by Meryl Streep (of course). It's kind of a heavy, sad movie. I watch it every September not because I want to cry, but because I love the value Meryl's very flawed character puts on taking care of people, being a homemaker. There are a lot of other things going on in the movie, but this "homemakers are people too" theme really speaks to me this time of year. I'm not jumping into a debate about what any mother should be doing or which way they should be leaning. But here is what I am feeling...sometimes homemaking can feel trivial, silly, unimportant. Sometimes I feel like the laundry I am doing, the schedules I am making, the crafts I'm crafting, the traditions I'm forcing are stupid. And then I watch Meryl and I feel better. I usually feel better when I watch Meryl in any movie. Spoiler alert, this movie is sad. If you have a heart, you will cry. Yesterday, I watched the movie in my kitchen. I made homemade soups for my family's dinner because half of them were getting over sore throats and I want them to feel better. I made an apple bundt cake because cake is always a good idea. I put up fall decorations because it looks good. I did all these things because I like it and it makes my home feel more homey and I am a homemaker dammit. These are some of the things that my kids will remember when they think of their childhood. These are some of the things that will bring comfort and peace to their little worlds right now. I love my family, I love my home and it's fall so I made bundt cake and all of that matters. 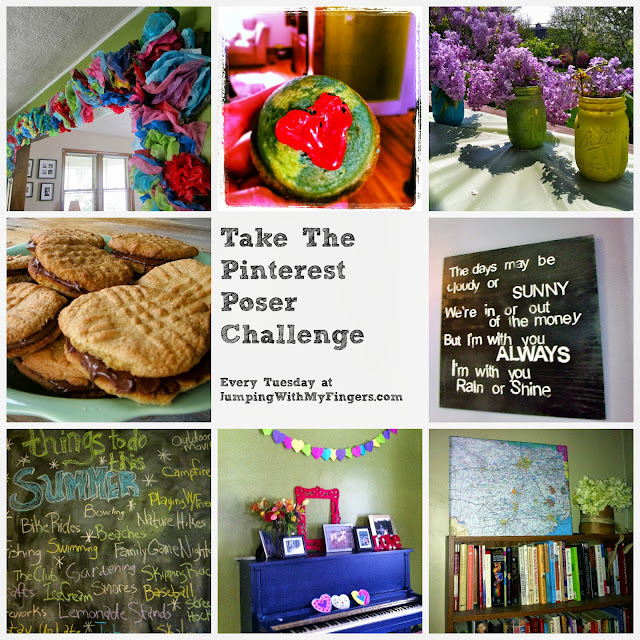 And now to this week's Pinterest Poser Challenge. ** Bundt cakes, soups and fall decorations. **In an attempt at not being a Pinterest Poser,* every week I detail a new Pinterest challenge whether it be a new recipe or a craft. *My definition of a Pinterest Poser is someone who is all pins and no substance. Click here for the recipe. I followed the recipe word for word and step by step, except I just used all gluten free ingredients. Where it called for all-purpose flour, I used gluten free flour. I double checked all the spices and extracts and was good to go. The whole family liked this recipe. And don't be afraid of the long list of ingredients and steps, it really was quite simple. Combine the first 10 ingredients in a pot and bring to a boil. Reduce heat and simmer for 30 minutes uncovered. The original recipe called for quite a bit of blending and pureeing, but I didn't have time for that so I skipped those steps. I just stirred quite a bit, added the heavy cream and let it simmer for another 30 minutes. I put the bacon, sour cream and a little extra fresh thyme on mine. The pureeing probably makes it even smoother, but it works without all the blending too. Original recipe pinned from The Comfort of Cooking. I cooked the chicken and the noodles before making the soup. Put everything in the pot and bring to a boil for 10 minutes. Turn down heat and simmer for 40 minutes. Original inspiration for this recipe pinned from Glutenista.com. This project took 15 minutes and it's sort of cute. Lucy picked leaves up while taking the dog for a walk. We slapped some glue on them and bam, cute 3-D pumpkins and a pretty inexpensive decoration. Total cost: $1.50 for the pumpkin. Yeah, sure, you'll see a lot of painted pumpkins on Pinterest, but we do Sharpies around here. Actually, it really wasn't even a planned activity. We bought pumpkins a couple weeks ago to start being autumn-y and the kids took it upon themselves to make faces for them. I usually regret leaving a Sharpie within a child's reach, but this time it worked out just great. I love being greeted by Lucy's winking pumpkin every morning. Total cost: $4 for the pumpkins. 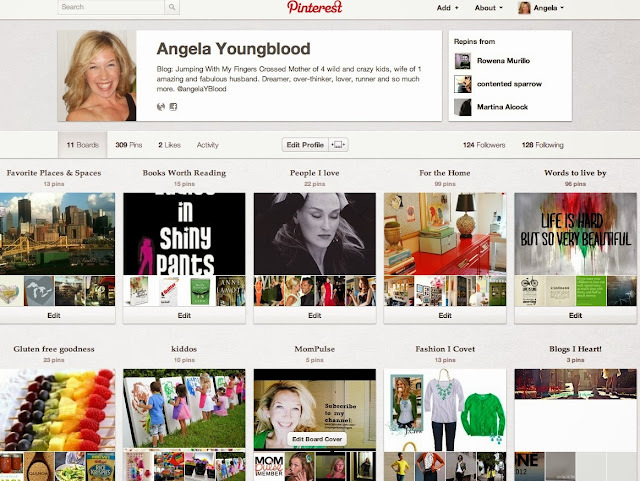 Pinterest and bloggers/artists are cool like that, they share free printables. Go to livelaughrowe.com for this one, click here. I found an old frame, slapped it in there and now my kitchen is fall-y. We do sharpies on pumpkins here, too. So much easier than cutting, and way less messy. And the pumpkins last forever. That bundt cake. OHMYWORD. That looks amazing. What kind of gf flour do you use? I've never tried an all-purpose flour. This cake was really delicious. I use Gluten Free Pantry all-purpose flour and it is great for all my old gluten-filled recipes. I hope you make it. Let me know if you do and if your fam likes it.